A look at the card's thermal, power, and acoustic performance highlights some of its most glaring weaknesses. While the peak temperature I measured was a modest 73°C during a 40-loop run of 3DMark's Fire Strike Extreme stress test, the card actually failed to successfully complete the run on quite a few occasions. The triple-fan cooler was also quite noisy, far noisier in fact that NVIDIA's Founders Edition models. On top of that, the 73°C temperature recorded here refers to the GPU temperature, there's also a separate junction temperature that you can view through the Radeon WattMan utility. As I mentioned earlier, the junction temperature is based on a network of sensors located across the GPU die, and it peaked at a disturbingly high 110°C. It's difficult to say if the high junction temperature had anything to do with the card failing 3DMark's stress test, but it sure looks like this is one card that runs pretty hot and noisy. 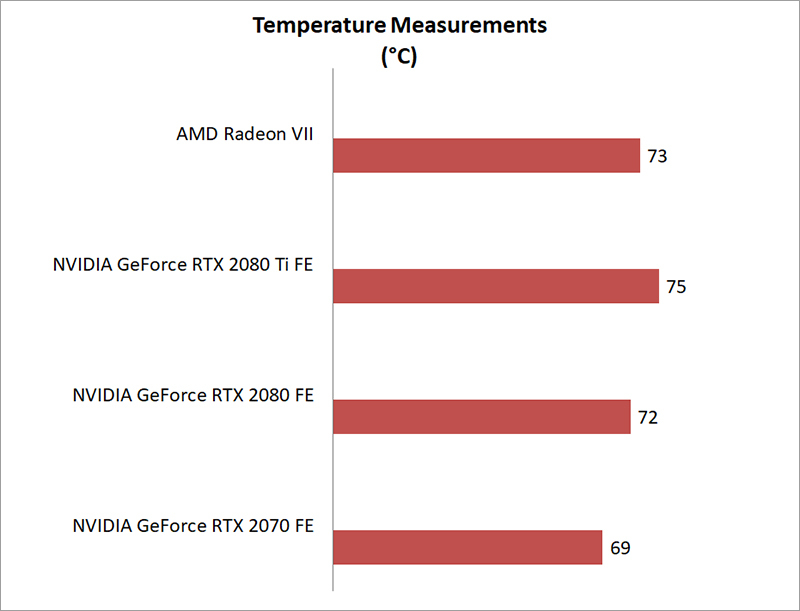 In the power department, the Radeon VII proved quite power-hungry, guzzling only slightly less than the significantly more powerful GeForce RTX 2080 Ti. 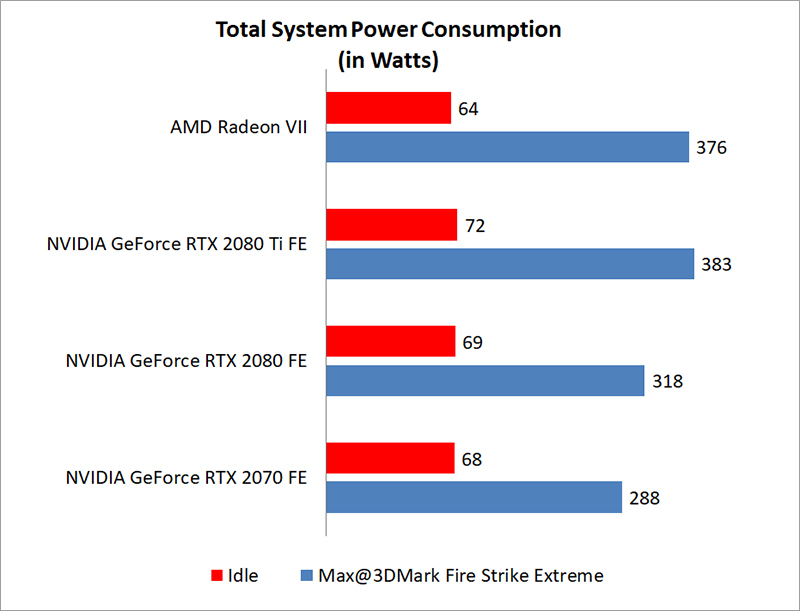 That isn't good for it in performance-per-watt terms, and it's pretty disappointing really, considering that the card is based on the more advanced 7nm process. Not to mention, it packs a lot more memory and that too might have contributed to the increased power draw.